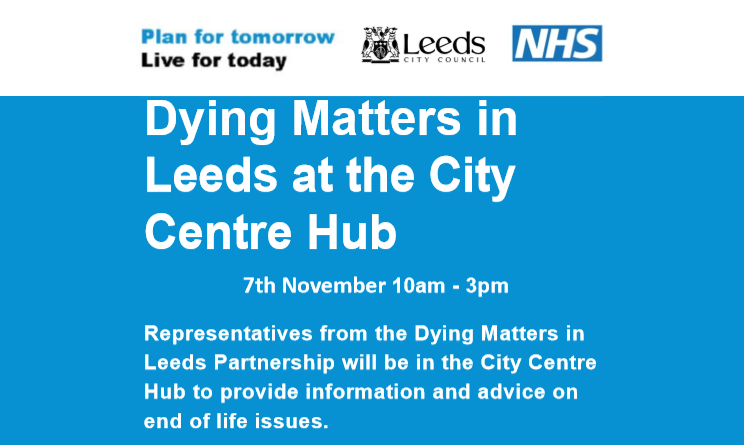 Join the Dying Matters Leeds partners at the new City Centre Hub at Merrion House to talk about end of life issues and bereavement. Free and open to all – please come along. For more information email agefriendly@leeds.gov.uk or call 0113 378 3831.